Hello:Wanted to let you know that I received my plate yesterday, and am very pleased. Your custom reproduction of a 1934 Florida plate is outstanding in every way, and the craftsmanship used to make it is obvious. I have purchased other plates from you folks, and the results have always been superb. Thank you, and keep up the good work. 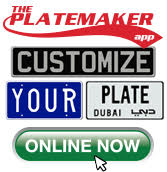 My name is Dominick Copida and I placed an order forplate frames from yourcompany. I received my order yesterday and I would like to take a momentof your time to THANK YOU. The product is exactly what I have beenlooking for and I can't wait to get them on my new car. 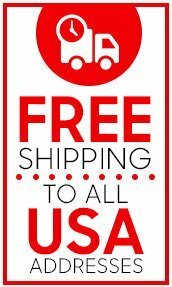 Your company hasshown fantastic customer service and exceptionally fast shipping. What apleasure it is to deal with a company that truly cares about it's customers.You went out of your way to make certain everything went smoothly and Iappreciate. Keep up the excellent work. I would highly recommend yourcompany to anyone.Thank you again. I LUV IT! !- Elaine N.
I received my custom German license plate a few days ago, and just wantedto say how totally overwhelmed I am with the quality of the tag! I ordered on a Saturday, even requested a change to the order, and it was in myhands by Thursday. Thank you so much for your promptness and attention todetail. I wish all companies were as efficient as yours!